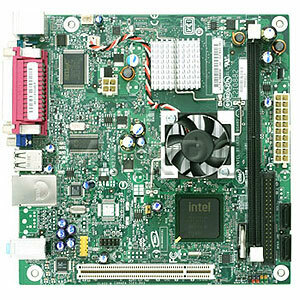 MINI-ITX FORMFACTOR MOTHERBOARDS are an economical alternative to traditional embedded boards. Measuring 170 mm x 170 mm (6.75 inches x 6.75 inches), the Mini-ITX motherboards is the world’s smallest native x86 platform and is fully compatible with Microsoft and Linux Operating Systems. The mini-ITX motherboards are based on powerful x86 processors and are fully equipped with PCI, VGA / TV / HDMI / DVI, audio, USB, serial and Ethernet. Widely used in the small Mini ITX form factor PC Case, the mini-ITX boards enables the creation of a new generation of small computers (mini-ITX PCs, car PC, appliances) aimed at industries, embedded mini-ITX market, data communications, medical equipment and networking applications. With the features come from Intel’s latest mobile CPU, such as the Intel atom (Silverthorne or Diamondville) the Mini-ITX motherboards are designed for long-term use in small, quiet PCs ranging from silent mini-itx desktops to home digital media and mini-ITX in carpc projects. The Mini-ITX boards are based on ultra low power Intel x86 processors CPU, often passively cooled, directly soldered onto the board for greater reliability. Based on low-power-consumption Intel Pentium or Celeron M or Atom / Silverthorne the Mini-ITX Intel boards can be powered with silent mini-ITX DC-DC picoPSUs series. When combined with our mini-ITX power supplies(PSU), sistem integrators can develop smallest possible mini-ITX based enclosures. For embedded mini-ITX enclosures. For embedded mini-ITX enclosures (with LCD option), please visit the enclosure section here. Σ System resources and hardware (such as PCI and PCI Express*) require physical memory address locations that can reduce available addressable system memory. This could result in a reduction of as much as 1GB or more of physical addressable memory being available to the operating system and applications, depending on the system configuration and operating system. This entry was posted on July 26, 2008 at 10:00 am	and is filed under GENUINE INTEL MOTHERBOARD. You can follow any responses to this entry through the RSS 2.0 feed. You can leave a response, or trackback from your own site.